This Saturday I’m taking part in Satellite of Love’s Wordathon in aid of Borderlands. This Bristol-based charity offers support to refugees and asylum seekers. 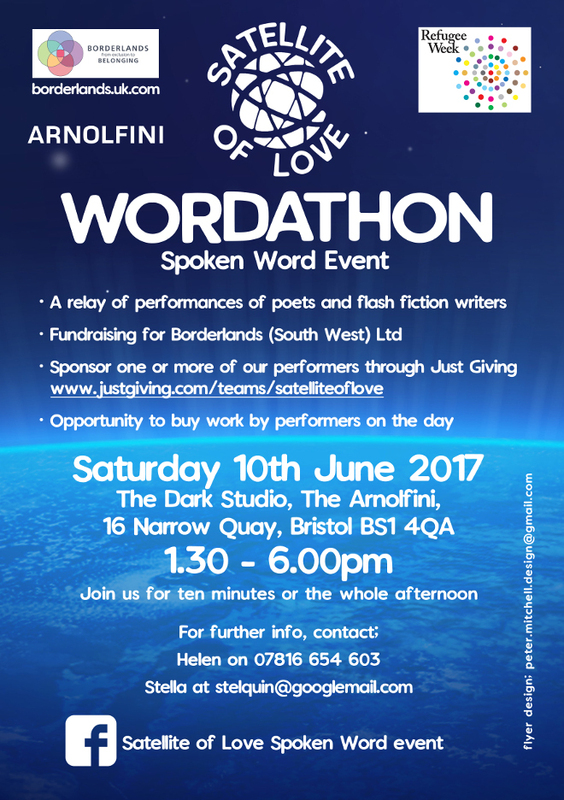 Between 1.30 and 6pm on Saturday 10th June 2017, writers will be taking over The Dark Studio at The Arnolfini on Bristol’s Narrow Quay, sharing stories and poems to inspire, move and enthuse anyone who drops by. Organised by Helen Sheppard, Stella Quinlivan and Pauline Seawards, the afternoon will offer a zesty sprinkling of five-minute flash fictions and poems, including some prompted by the refugee crisis. At 2.30pm I’ll be reading a brief series of vignettes that are somewhere between flash fictions and poems, and are inspired by how we can become refugees in our own lives when we’re old. 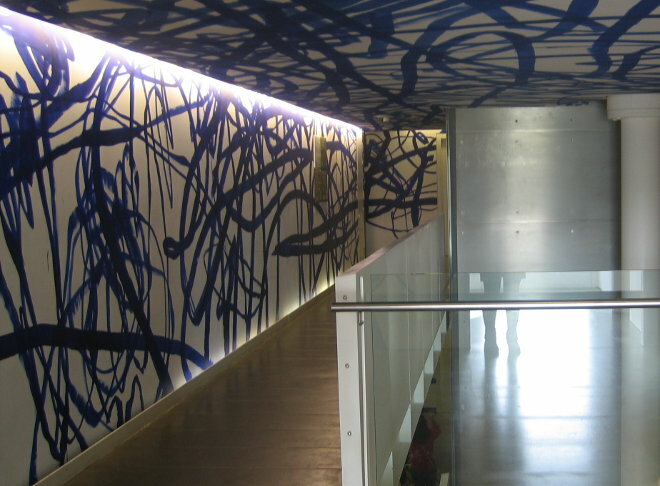 This entry was posted in Judy's writing, News and tagged Borderlands, Satellite of Love Wordathon, The Arnolfini by Judy. Bookmark the permalink.